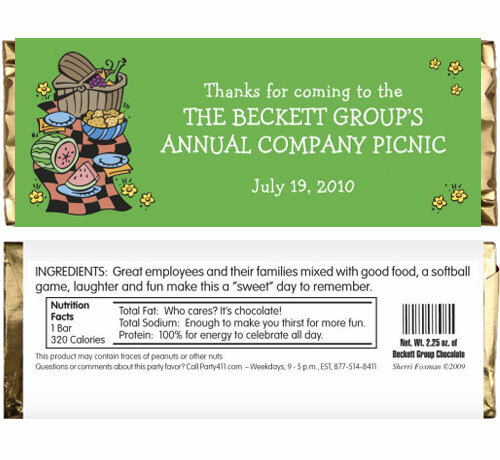 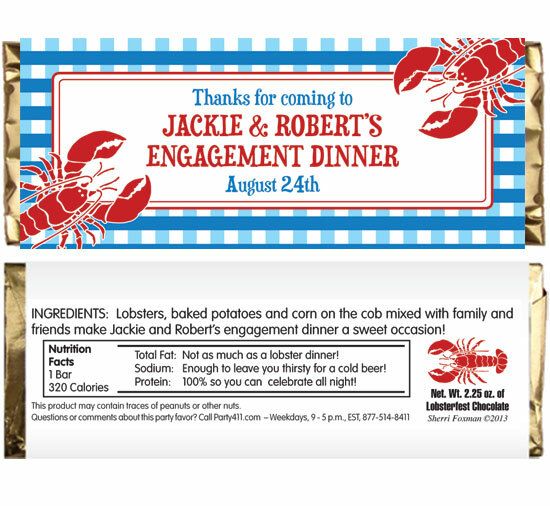 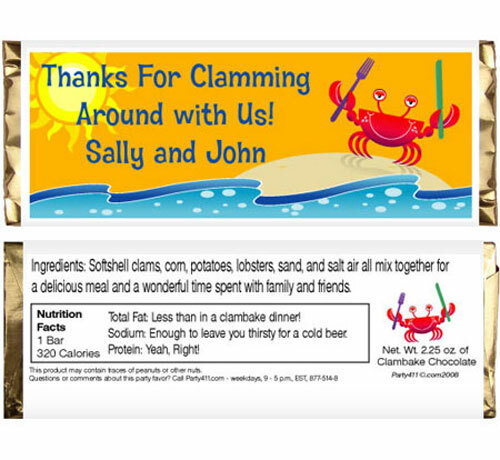 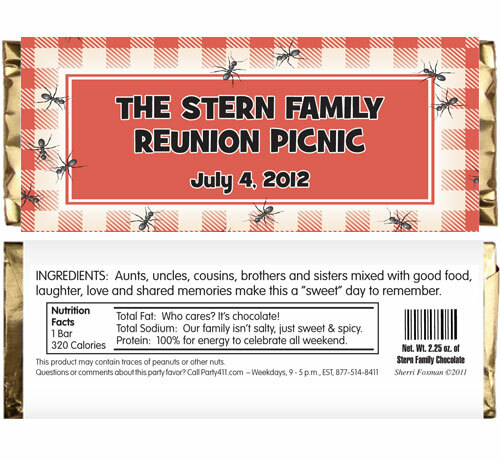 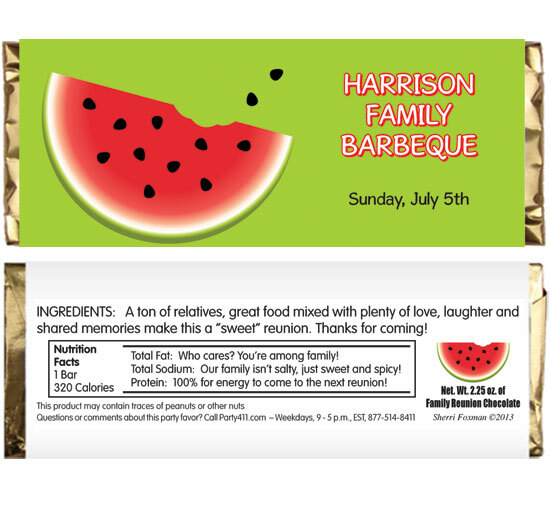 Enjoy the season with these summer themed candy bar wrappers. 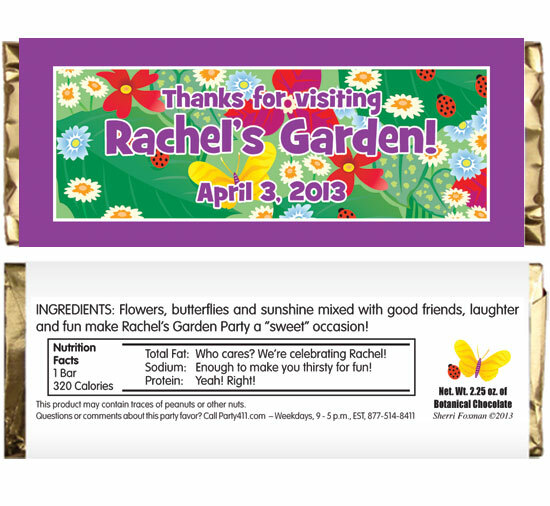 They'll remember your party long after their tan fades with this great favor. 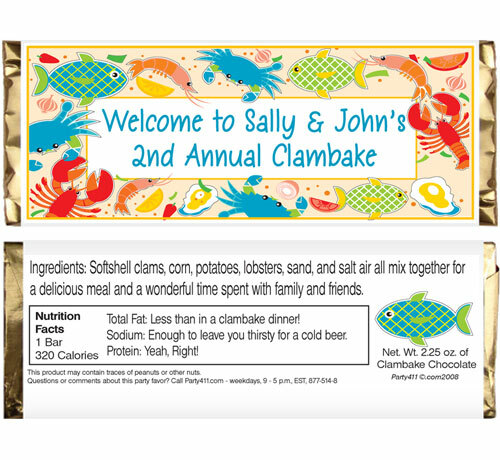 This design belongs at a beach party! 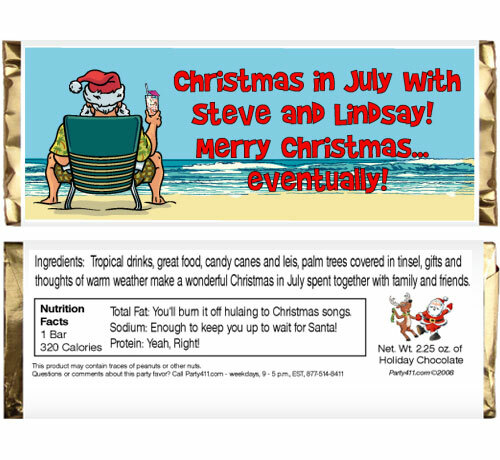 A flip flopping good favor! 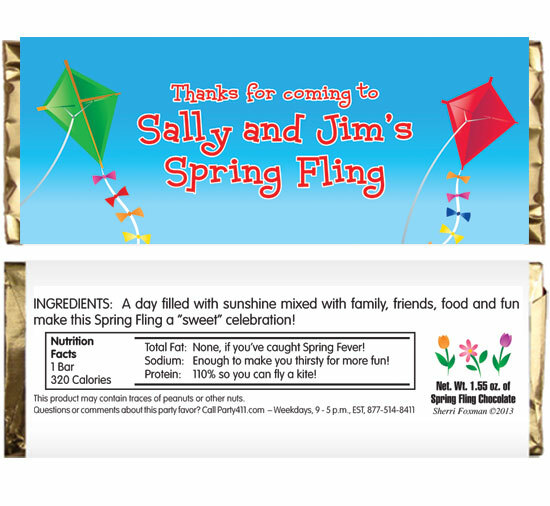 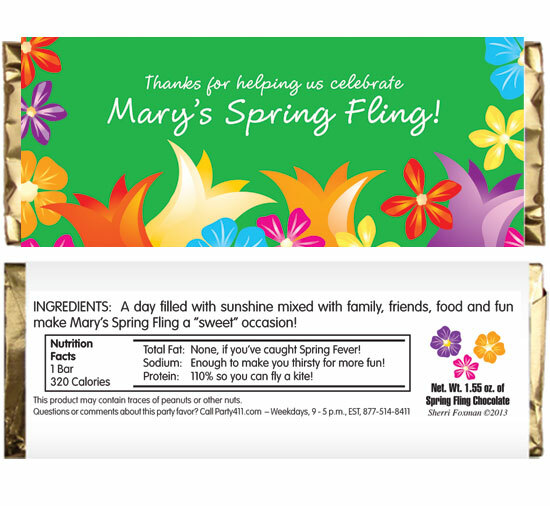 Flying kites, what better way to celebrate spring than with these Spring Themed candy bar wrappers. 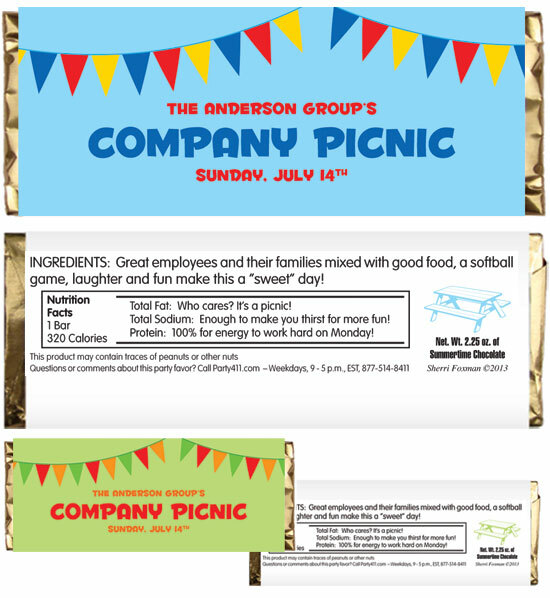 A candy bar is a poolside delight! 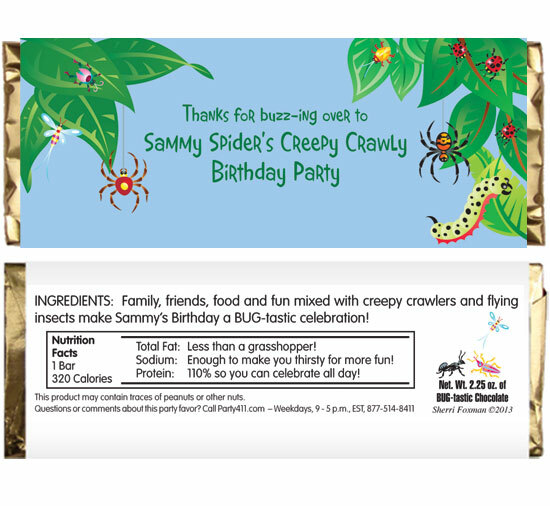 This party favor won't bug you!